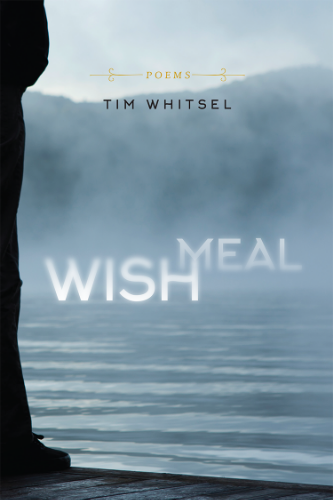 Wish Meal charts one man’s evolution from El Dorado pilgrim and prodigal son to a stay-at-home father, navigating from his Indiana boyhood to the family he makes in the Pacific Northwest. In Whitsel’s poems, we encounter places, rites, decades and nights of perishable abundance. He nurtures apple trees, secrets, prize tomatoes, fascinations and bewildering kids. He navigates between the burden of an heirloom faith and the transcendence of Oregon rivers and skies. The Wish of belonging becomes Whitsel’s grist, his Meal, subject to blemish and ferment. Tim Whitsel lives on a 100-year floodplain outside Springfield, Oregon. He is passionate about western rivers, gardening, jazz, bicycling, wine and words. For six years Tim directed Windfall, a monthly reading series at the Eugene Public Library. He won first prize at the 2013 Northwest Poets’ Concord. In 2014, he was honored with an artist’s residency at PLAYA. He can be heard reading his poems on the poetryloft.net or seen on YouTube (Lane Writers Reading Series, October 25, 2015). Tim’s first collection, We Say Ourselves, was published in 2012 by Traprock Books. Tim Whitsel’s poetry is rife with the pleasing desperation of the blues’ stance: I’m so far down I might never get back up. But by bein’ down, if you’ll get on down here with me, baby, we just might find us a way through. These poems ride out moments of bare survival, of hopefulness and beauty, and of complete brokenness with equally keen attention and articulation, often creating solace through an acuity of perception to events that would otherwise be without solace. I couldn’t put Wish Meal down. Tim Whitsel navigates huge swaths of geography and time in search of home. This pilgrimage of the self makes for a bold poetic space where anything might strike. And strike it does. With introspection, longing, and lyric invention, Wish Meal takes us to the headwaters of the poet’s deepest concerns. The gifts in this book run deep. Wish Meal is beautiful, and I read it just now in one sitting and find much grace, lyric, and firm land-- things honest, and real. These are poems of skateboards and youth, retrospection and longing, acute observation, and most of all, music. Nature, loss, longing, and none of the feckless musing of the young poets I often encounter, trying to spin the small into false significance and eloquence. There is no strain, just an assuredness, free of pandering, that here in the world is mystery and greatness. scoop grain steaming from bins. powdery burrows like black larvae. A man curries and brushes his Belgians. You have seen so many bodies. these ravaged silks of spring. Your hands listen as if they might hear. and fetch with a black Lab for better than an hour. lawns as patiently as an old cat. from Chinese witch-hazel and flowering plum. mash the guacamole for supper. for the years of gardens my father raised. I rub my often-sore elbow for all your pains. I am sobbing a little in the West. stabbing audacity in grim weeks of winter. I think about your cap and gown. the train ran steadily out of sight. Wrist for impossibly long days. A bracelet of damaged beads, showcased in glare. The linked saga scribbled tiny toward the far ridge. of perfume from centenary cottonwoods. I trudged under a hymn of loose sky. The horizon rallied gravestones under gauze. In celebration of the publication of Wish Meal, Airlie Press has commissioned a limited-edition letterpress broadside of one of Tim Whitsel’s poems. Signed and numbered by the author.